Example of using Hierarchy custom settings in formula field, custom button, process builder and workflow rules. Youtube video included. 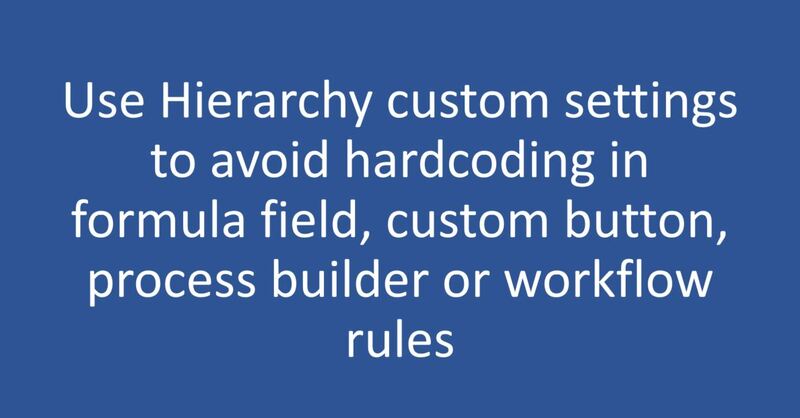 Avoiding hard coded Ids or values from formula field, custom button, process builder, Workflow rules or Approval process using Hierarchy custom setting is not something new. This idea exists from many years in Salesforce ecosystem. However, some times I have seen developers and admins debating on same question, so though to put a consolidated blog post on same. Why you should avoid hard coded values or Ids in Salesforce ? Answer is very simple, maintenance. When sandboxes are refreshed or metadata deployed to different instances, admins would need to change values manually. If we are talking about manual post deployment step, then we are also talking about nightmare of maintaining list of manual post build steps. Can we use Custom Labels to avoid hard coded Ids / values in Salesforce ? 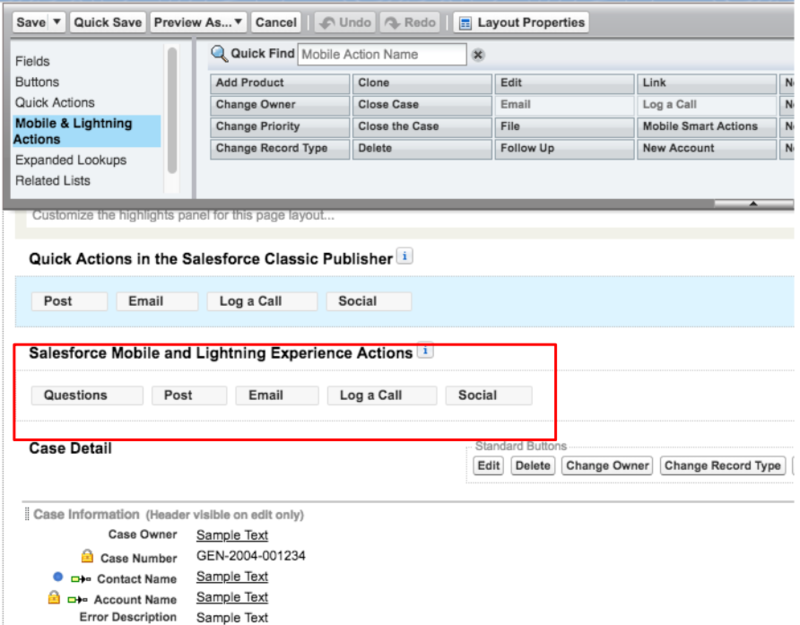 Imagine there are 100’s of custom label and it needs to be different for each Salesforce instances. You would be left either with manual step or some external tool which may not be allowed / approved by customer. This custom setting is equivalent to custom / standard object. We can store values in tabular format. This custom setting can be used in formula field, process builder, custom button, Workflow rules or Approval process. Most unique feature about Hierarchy custom setting is that we can have different values at Organization level, profile level and user level. Highest priority is given to value defined at user level then profile and at last organization level.